I have ridden the boundary between painting a portrait and a photographic study of a portrait. 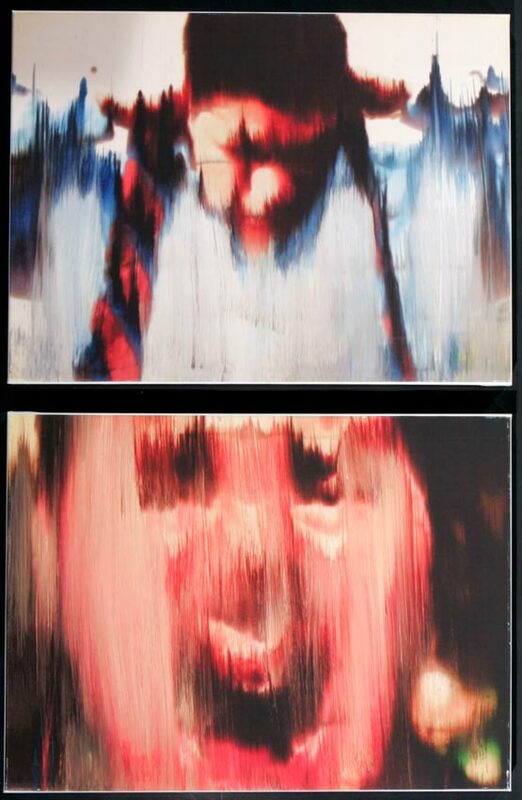 The contemporary artist Gerhard Richter has made paintings that look like photographs. I wanted to see if I could make a photograph that looked like a painting. The semi-abstract style of my digital photographs was created by accident. The photograph was printed on the reverse side of a piece of photographic paper using an ink-jet. The ink didn’t dry and I was able to scrape the surface to show movement. The manipulated images were scanned and printed onto canvas, the traditional medium of portraits. Examine the relationship between painting and photography by looking at the art practice of Gerhard Richter and Richard Gray. Explore the impact that painting and photography have had on each other. Investigate the role of painting in the 21st century.